EK Water Blocks, Ljubljana based premium liquid cooling gear manufacturer, is proud to introduce EK-XRES MX reservoir & pump combo, available both as a standalone, complete unit, powered by Laing DDC 3.2 PWM pump or as a separate upgrade for any Laing DDC series liquid cooling pump. EK-XRES 100 DDC MX is a reduced cost variant of EK-XRES 100 DDC reservoir. It has been designed to lower the production costs yet still offer premium hydraulic performance at the best price. 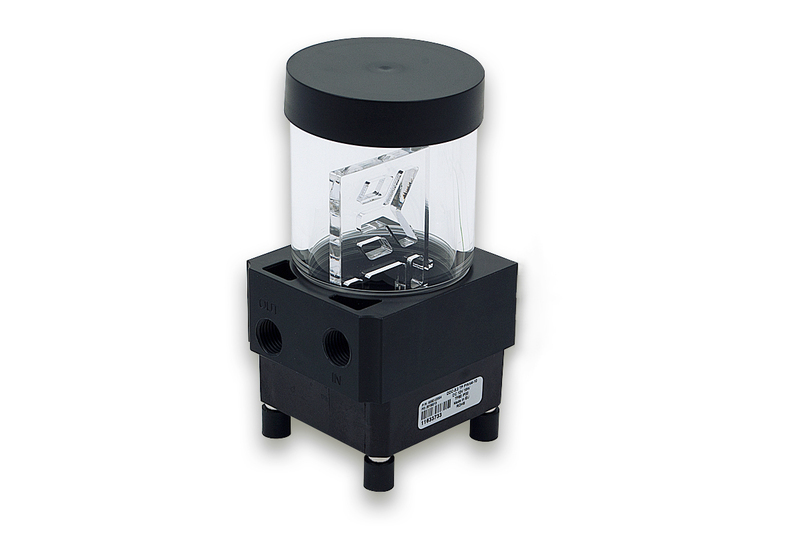 This unit is a high-performance aftermarket pump top (volute) with integrated reservoir for Laing DDC series water pumps, made from injection-moulded ABS material and 60mm OD Acrylic glass cylinder. 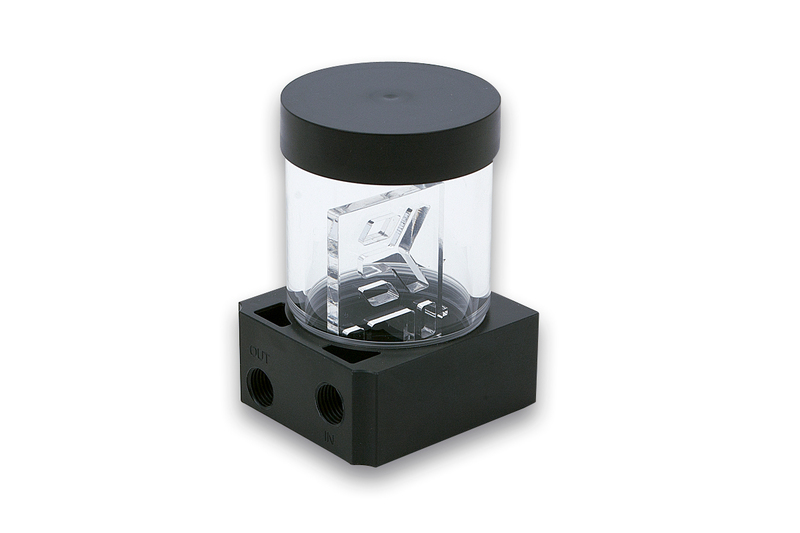 The hydraulic performance has been increased up to 15% compared to factory top. 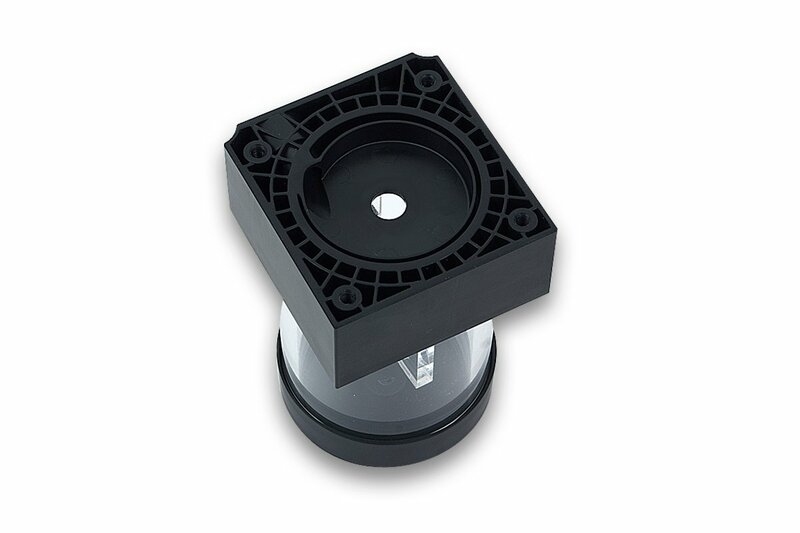 The new XRES DDC MX also comes equipped with Anti-Vibration mounting mechanism. This vibration dampening rubber mounting system effectively de-couples the water pump from the rest of the computer chassis. The very same unit is also available as a complete product. 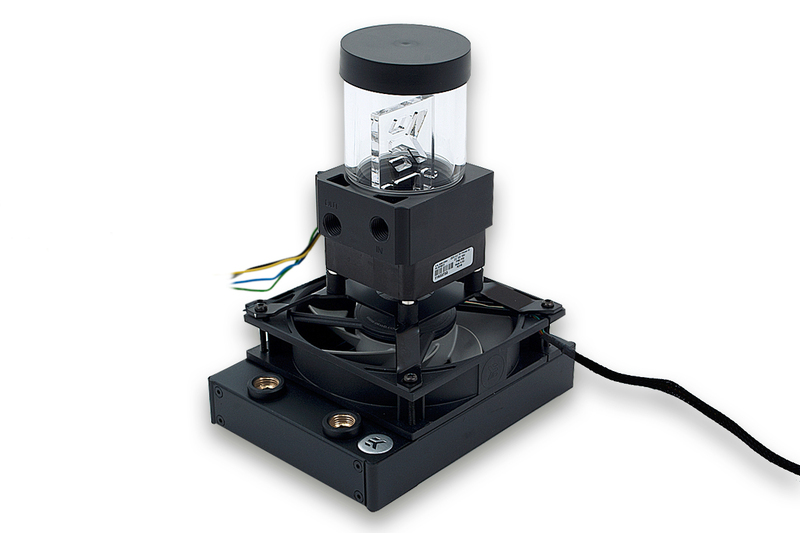 EK-XRES 100 DDC 3.2 PWM MX is a liquid cooling pump/reservoir combo unit. 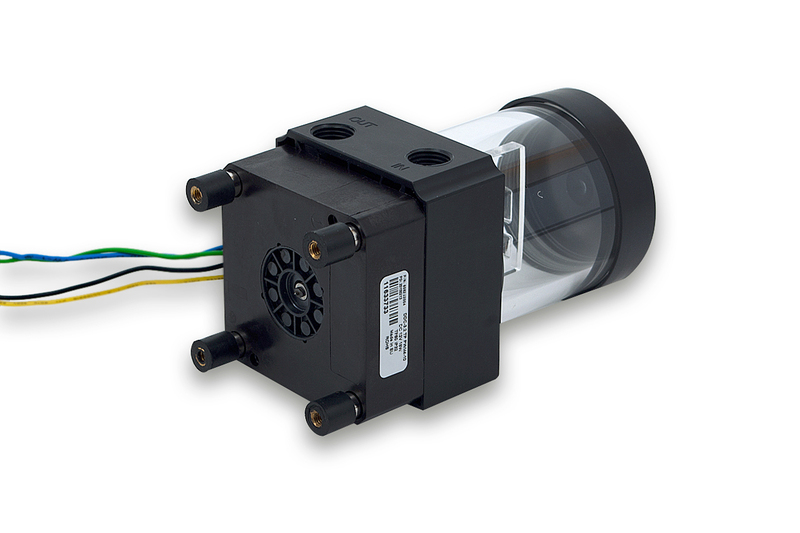 The core of the unit is the market-proven premium performance EK-DDC 3.2 PWM water pump with it’s PWM control allowing for automatic pump speed regulation depending on your system temperature. Full performance on demand or whisper quiet operation in idle mode! 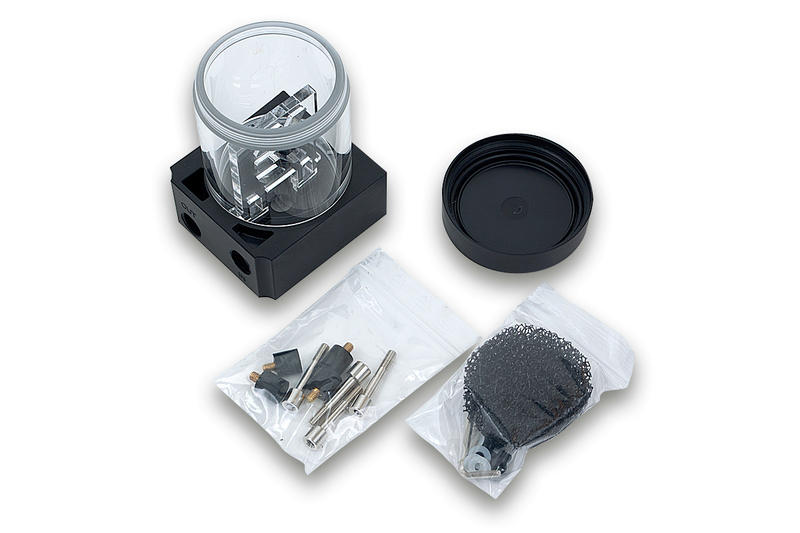 XRES DDC MX reservoirs can be – just like their non-MX counterparts – easily upgraded with longer reservoir cylinder tubes, used by EK-RES X3 series reservoirs as well as additional DDC upgrades, such as Heatsink Housing or the new EK-UNI Holder DDC Spider (120mm FAN). All products are already available for purchase through EK Webshop and Partner Reseller Network.